A wave of protests inspired by the opposition activist Aleksey Navalny, some green-lighted and some not by the local authorities, took place across Russia. The biggest of them took place in Moscow. There some 8,000 people took part and some 600 people were detained by police. 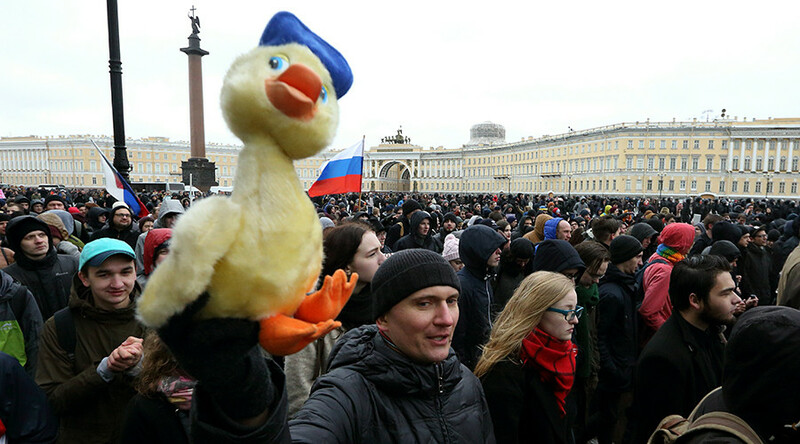 In St. Petersburg, police estimated the number of participants in the opposition event at around 3,000. The local police’s press service told Interfax news agency, that 131 people were detained during the rally. Four of them were facing administrative action for minor violations. In most of the opposition rallies on Sunday, police released those detained shortly afterward. The usual procedure for such cases of detention (which is not an actual “arrest”) is to identify the individuals for potential administrative action and then release them. In Vladivostok, where nearly 500 people took part in the protest, 25 activists are facing administrative charges, according to police. 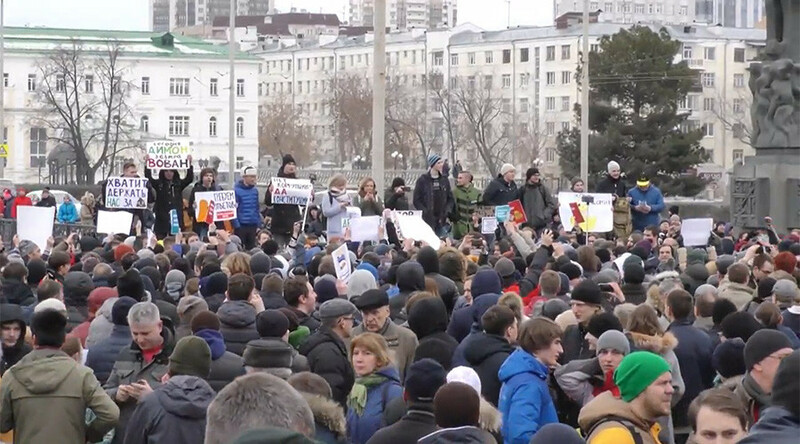 The rally in Novosibirsk, which was sanctioned by the local authorities after a court ordered them to overturn a ban, attracted around 1,500 people, according to the mayor’s office. At another sanctioned event in Tomsk, around 400 protesters showed up, according to local law enforcement. In Irkutsk, around 300 people protested without any incidents, as was the case in Belgorod, in which an estimated 150 people took part. In Krasnodar, an organizer of the unsanctioned rally was detained after one of the protesters threw a smoke stick at a group of people standing nearby, but otherwise no violations were reported. In Saratov, several opposition rallies in different parts of the city gathered around 400 people in all. In Kazan, an unsanctioned rally was conducted with police choosing not to intervene, but warning protesters of potential consequences. Navalny, who is known in Russia as anti-corruption and opposition activist, called on his supporters to protest on Sunday, weeks after releasing a report alleging corruption involving Russian Prime Minister Dmitry Medvedev. He accused the head of the Russian government of personal enrichment through embezzlement. He himself also tried to take part in a large unsanctioned rally in central Moscow but was detained shortly after arriving at the scene.